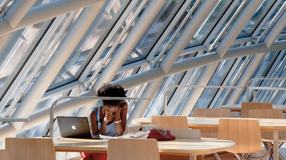 A new book explores how UChicago campus architecture reinforces the life of the mind. Bryan Samuels, MPP'93, a national leader in child welfare, appointed to lead Chapin Hall. Jean Bethke Elshtain, a prolific scholar of religion and political philosophy, dies at 72. Chicago Booth's Raghuram Rajan has been named Governor of the Reserve Bank of India. A 2009 bestseller coauthored by behavioral economist Richard Thaler inspires social science-based political strategies in the United States and the United Kingdom. Mertz, PhB'47, AM'50, PhD'52, wrote best-selling historical fiction and romantic thrillers under the names Barbara Michaels and Elizabeth Peters. Political scientist William Howell argues that politicians and the public judge presidential power too harshly. For assistant professor Hillary Chute, "the spatial arrangement is integral to the meaning" in both comics and poems. Psychologist Jean M. Twenge, AB'93, AM'93, finds that "younger generations are increasingly entitled, self-obsessed, and unprepared for the realities of adult life." Harris School distinguished senior fellow Richard M. Daley and his students work to revive Gary, Indiana. Dolphins recognize each other's signature whistles--the equivalent of human names--after more than 20 years. The incomplete history of the U of C's first major league ballplayer.